The Crystal Collection of household electrical switches and plug sockets shows great subtle style, with its clear transparent back plate allowing the wall paint or wallpaper finishes to shine through to great affect. Manufactured and designed in the UK for quality and longevity. 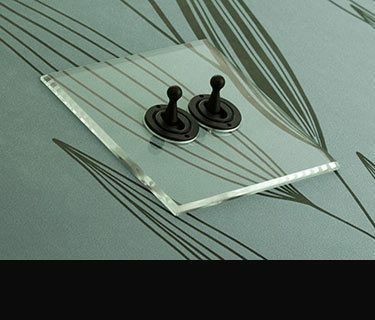 Beautiful collection of transparent light switches for classical and contemporary interior design projects. British made. 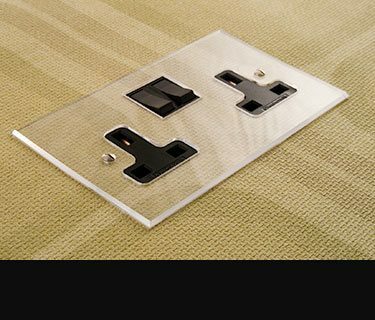 British made plug sockets and complimentary household electrical sockets with a clear see through backplate. Ideal for wallpaper and paint finishes.